Paula Koger, Doctor of Oriental Medicine, offers cutting edge holistic and integrative medicine in a caring and supportive environment. Her focus is individualized medical care utilizing original and innovative approaches. In 2007 Dr. Koger was named one of the Top Five (5) Doctors in the Tampa Bay Area, by Industry Magazine. This was based on patient interviews and success stories..
Paula Koger, Acupuncture Physician, is licensed by the State of Florida as a primary health care provider. She is a Certified Biofeedback Therapist and Licensed Hypnotist. Koger is a Certified Diplomat with the National Commission for the Certification of Acupuncture and Oriental Medicine (NCCAOM). Paula Koger is the Medical Director at Wealth of Health Center and an expert in Alternative Medicine. She began helping the community in 1967 after graduating from Florida State University with a Bachelor of Science in Nursing. In 1973 she was awarded a Master of Arts degree in Counseling from Ball State University. She studied at then existing International College, Alternative Health Modalities and was mentored by Dr. Roy Pearson in self-studies which allowed her to choose the best Doctors in world to study with. . She was trained as a Doctor of Oriental Medicine at the Orlando Shanghai Institute of Traditional Chinese Medicine. The results of her highly skilled services are evidenced by the thousands of men, women and children who have received the help they needed to create miraculous changes in their lives. At the Wealth of Health Center our goal is to teach what you need to know, so you can take charge of your health and life. 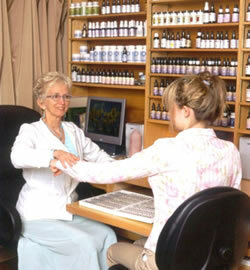 We specialize in guiding patients through a process which activates the body’s natural healing responses. 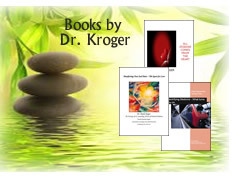 The processes Dr. Koger uses are the result of years of training with the best of the best, Healers/Physicians in Europe, the Far East and here in North America. Lyme, ADHD, Pain, Neuropathy, Fatigue, Depression, Allergies, Detox, Endocrine Imbalance, Arthritis, Insomnia, Stress, Digestive Disorders, Memory, Emotional, Mental & Spiritual Causes. Clients all over the world benefit from The Total Body Scan (TBS) Therapy in the comfort of their home or in our office. With the TBS you can be scanned for physical, emotional, nutritional and energetic imbalances. You can receive immediate stress reduction and multiple therapeutic interventions. The scan will generate biocompatible formulas for the herbs, homeopathy or supplements which will facilitate your healing process. The exact formulas the TBS identified, which will best balance your system and promote healing can be purchased from our apothecary. If you received your TBS via the internet we can ship your products by express or priority mail. Dr. Koger presents workshops internationally.